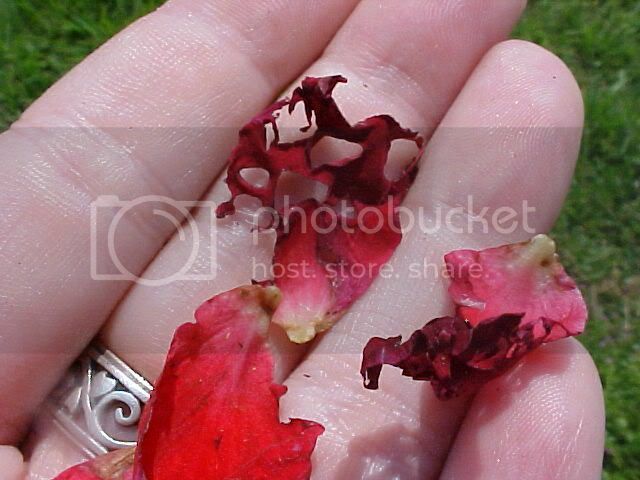 Below is my day in the rose garden. I was gone for 5 days and found out Rob was watering them at night. I have a mess to clean up. I will start with the photos of each of the problems and then what I have done so far to clean it up and cure them. Theres tips along the way. 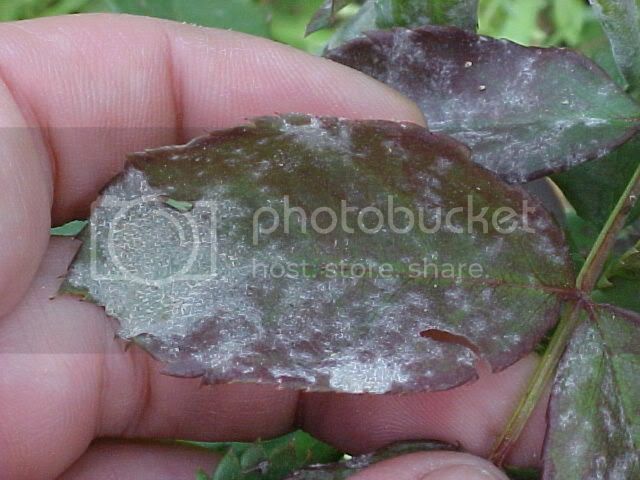 - This is can cause the leaves and buds to deform.It looks like snow on your leaves but will come off on your fingers. 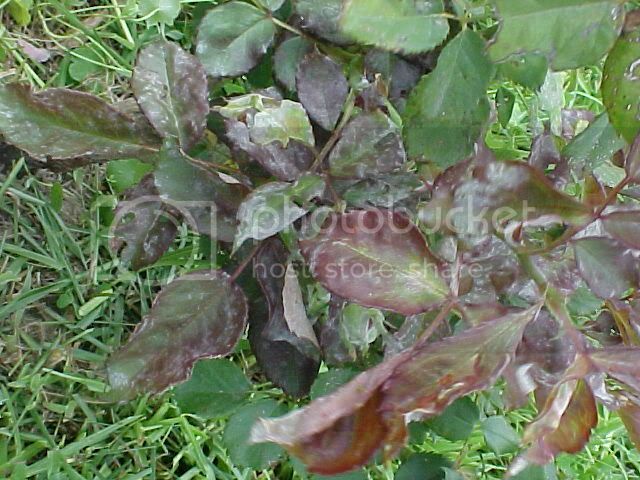 To prevent Powdery Mildew do not water your roses or garden after dark or in late evening. 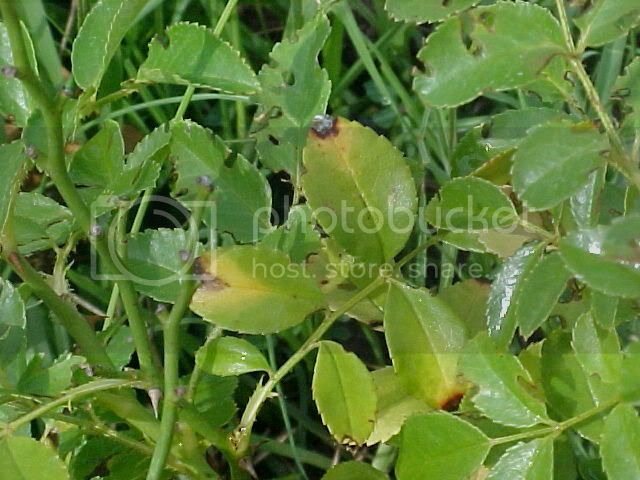 The pics below is a direct cause of my hubby watering the garden every night for 5 days.This will spead from plant to plant but way of watering or rain. 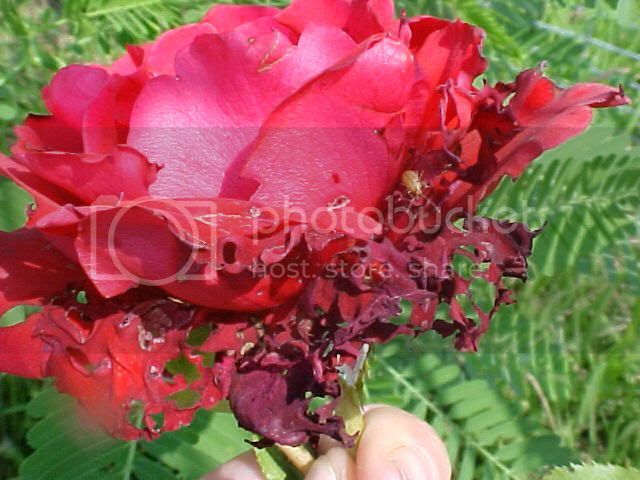 You will have to get rid of the infected leaves, branches and buds/flowers.Yes it will hurt your heart but it has to be done to prevent the spread of the infection. 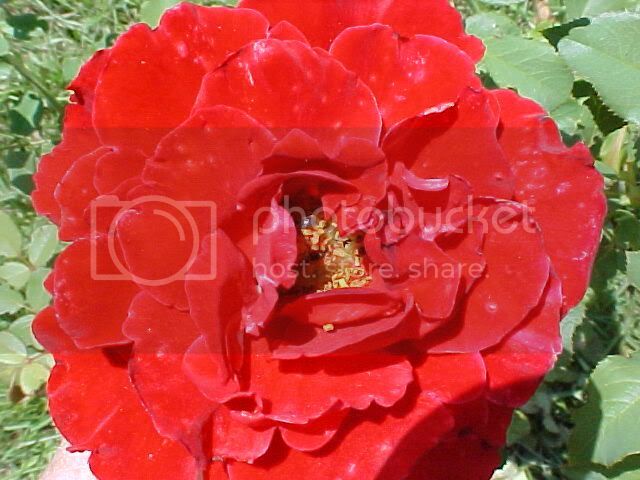 Your roses wont look pretty after this but its for its and that of the rest of your garden, own good in the long run. 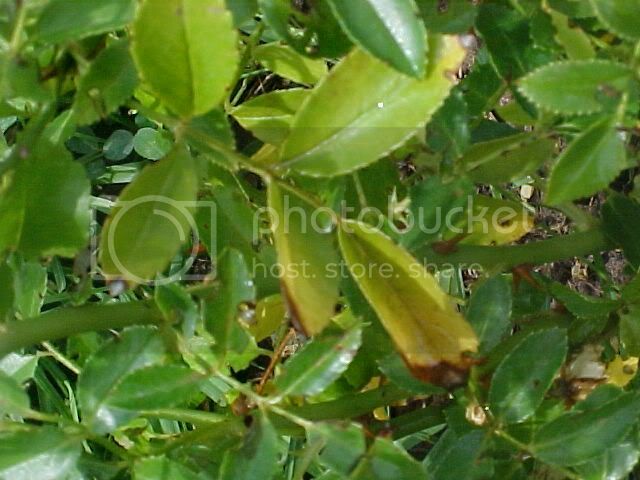 Have a pot and a pair of scissors just for the cutting of infected leaves and roses. I have these and dont use them for any of work. 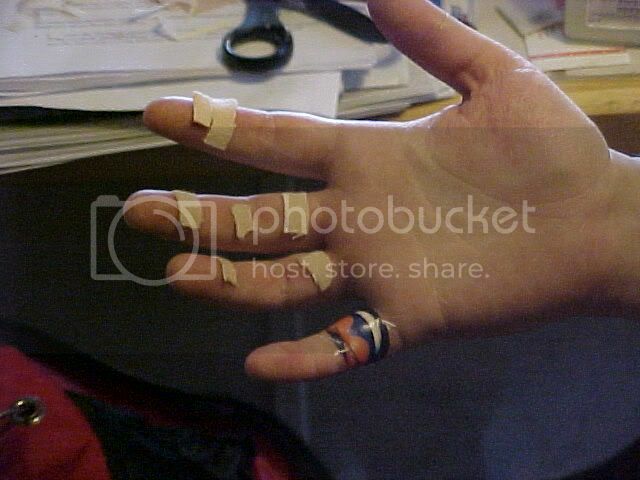 You will spread the infection but using the pot or scissors that are infected. 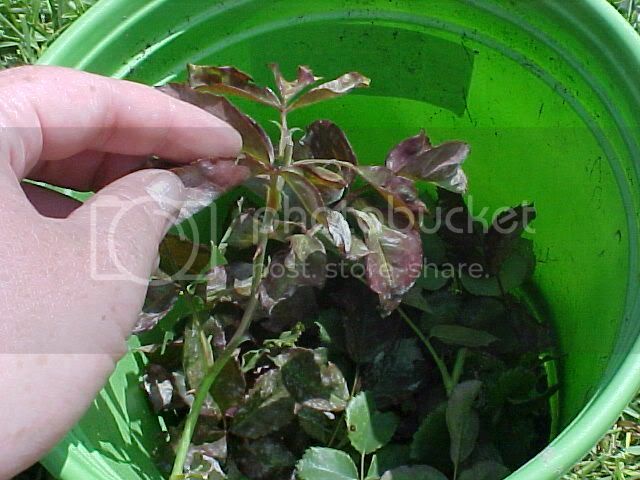 If you have to use them on uninfected plants, be sure to clean them well and disinfect them first. 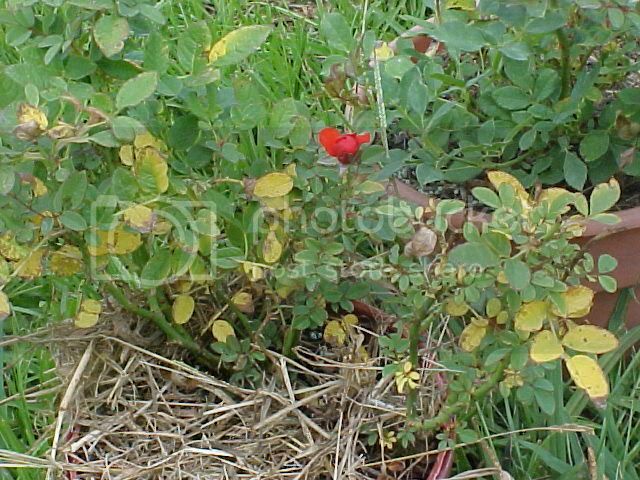 Be sure your garden friends are able see the going ons when you arent around so they they can report back to you. And if you dont....protect your hands until they heal. Its lack of Water- The tops will start turning colors, usually yellow then to brown. 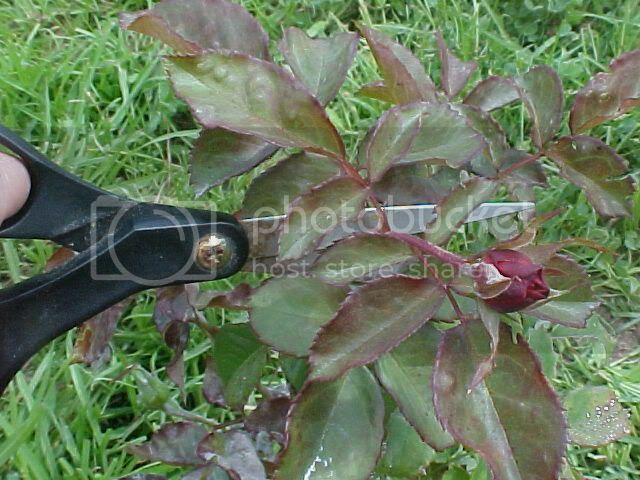 Start watering more often or giving your rose more water. 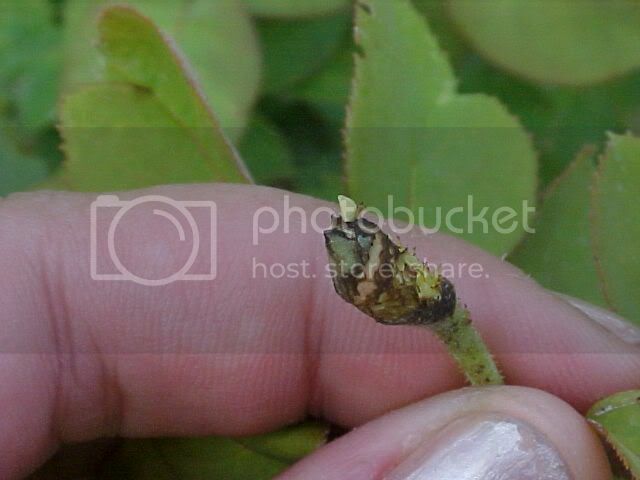 A Spotted Cucumber Beetle feast on young buds and can chew thier way through your roses in a matter of days. They also spread wilt. See second pic for wilt. It eats in a lacey pattern and will eat the whole thing! 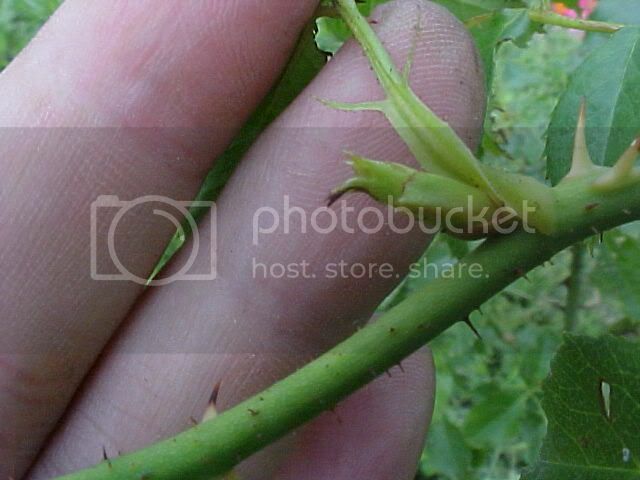 This roses were infested with these little guys. I dont know the name of them. I couldnt find anything on them to do with roses but boy did they like them! They did this in just a matter of days. 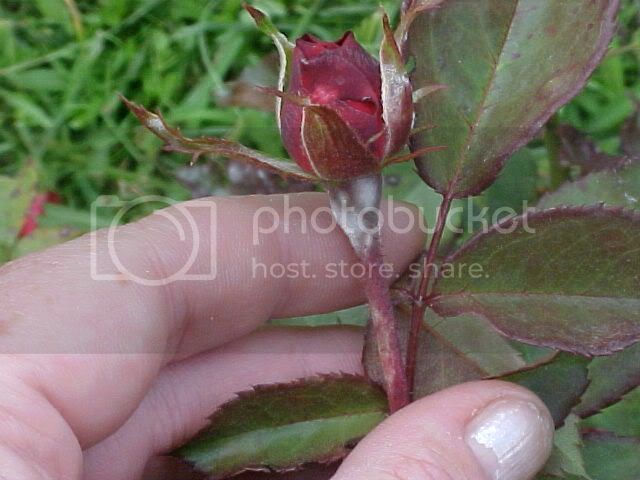 I checked on my Don Juan (rose in pic) 2 days ago and they were fine.AND THEY DO BITE! So beware! 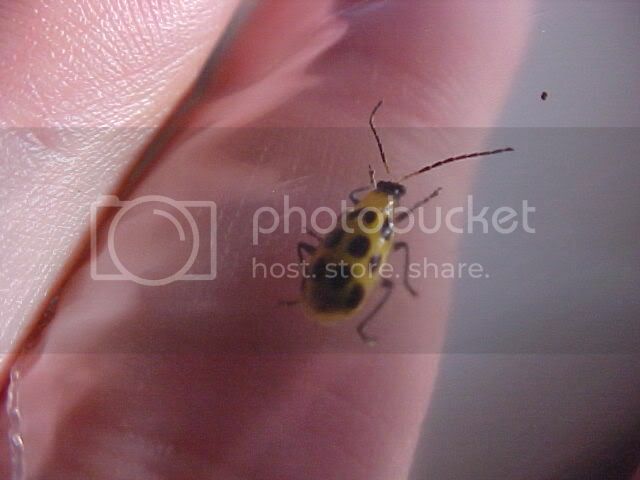 Please see below blog link on this beetle. I was unable to get a pic of it but I got a very good look at it. 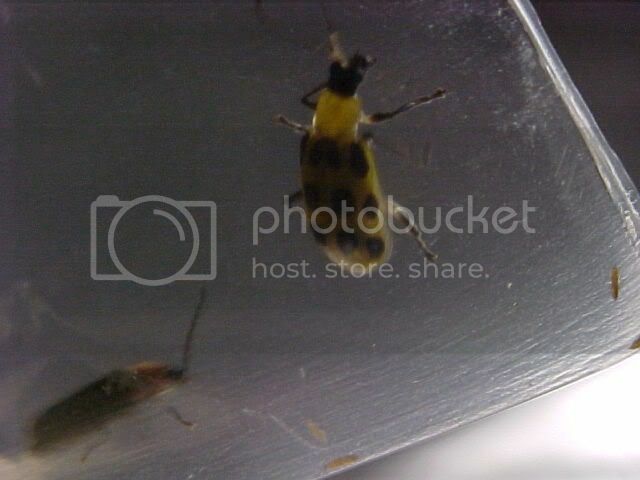 Its about a half inch long and a beautiful blueish green metallic body. 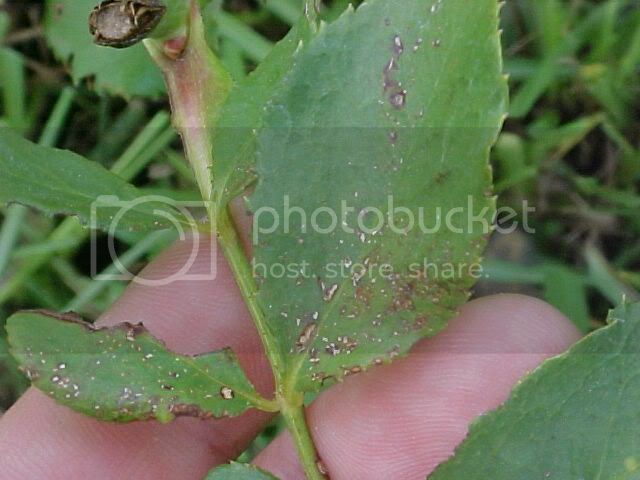 Its found on the leaves and will make short order of the leaves. 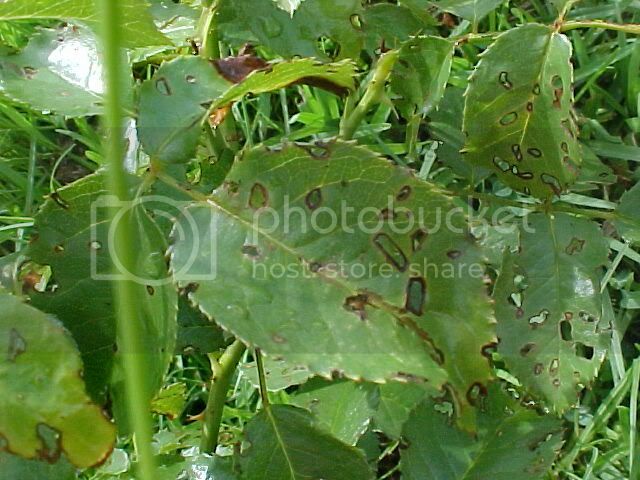 Damage of the Jewel Beetle- the holes the chew are more or less oblong in shape but I have caught them eatting the edges of the roses leaves too. 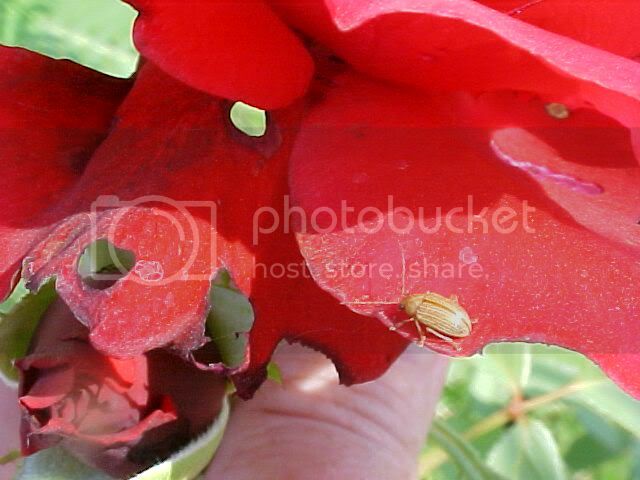 These guys arent just found on roses. 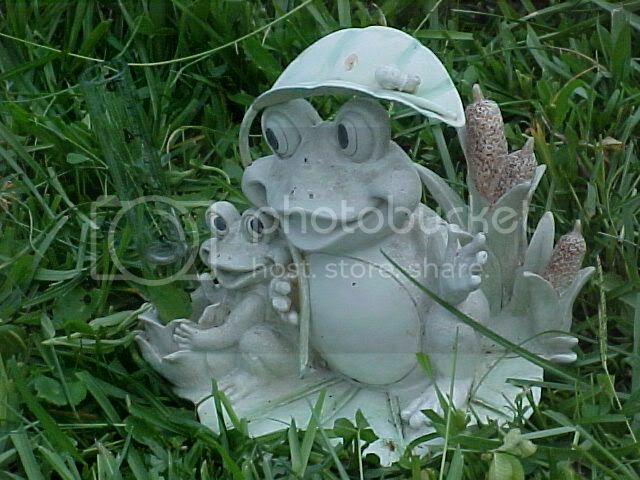 I have damage to my banana trees (mostly new leaves), to my Bird of Paradise, 4 o'clocks, and Cannas. 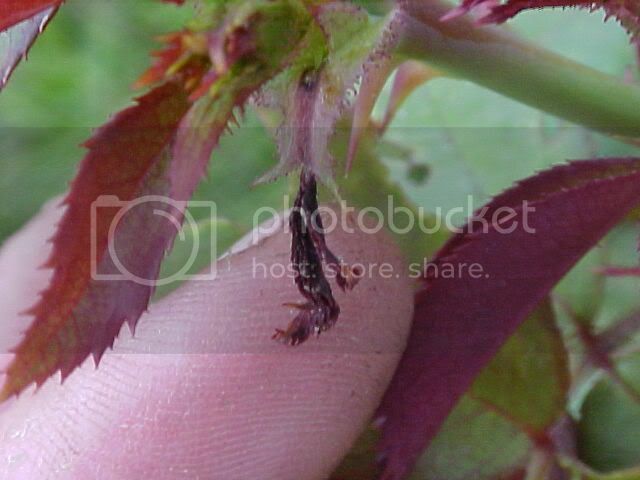 Pics of Aphids-They are found on new growth and underneath the larger leaves for shade. If you have a pest problem, you can try an organic treatment to get rid of the pest and keep them away or find a chemical treatment. Below is a link for organic treatment and prevention. These are recipes I have found and tested. They do work. 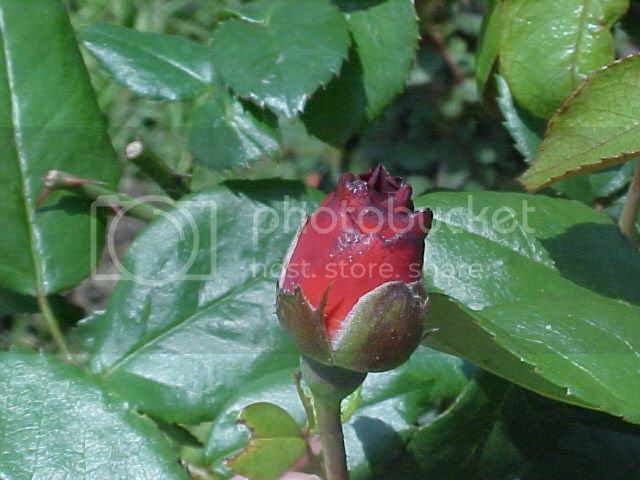 See the link below for more details on what you have read or for tips on great carefree roses. Check back to see later updates. Denee thanks for all the great information!! 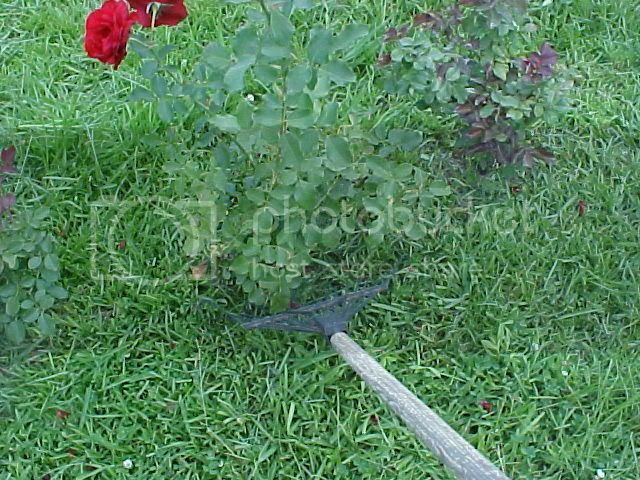 I hope your rose bushes get better quickly!! If not we will definately miss your beautiful pics of them!! I'm sure Rob did the best he knew of your roses, but things like these are why I hate to leave someone other than me in change of my garden!! But what can you do? You definately have to get away from time to time!! I really dont know if it does Dooley. Because I have some very nasty things running amuck in the rose garden all at once and all but one of my 13 bushes are infected with one thing or another, I went out and bought some chemicals to treat them. Ill keep doing these treatments until winter. Come spring, I am going to find some other way of treating them. If you use the garlic and hot pepper, let me know if it works. Tommorow Ill finish up the clean up of the infected leaves and then hand pick off all my ladybugs and transplant them onto my passion vine for the time being. 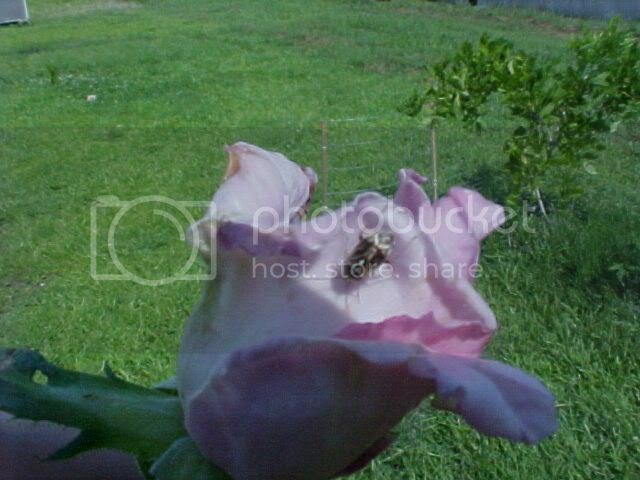 Then Ill be treating the roses tomorrow evening. Thank you so much for the info on roses! 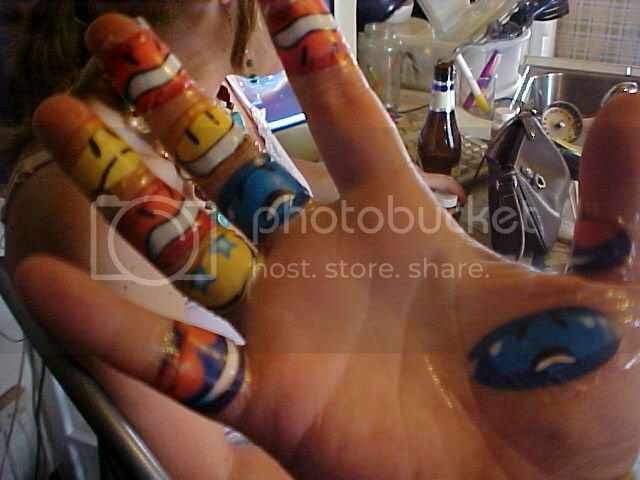 I have 22 of the and I have no clue if they are infected with anything or not! But I will take a closer look at mine and see if I have any problems like you have pictures of. Thank you! 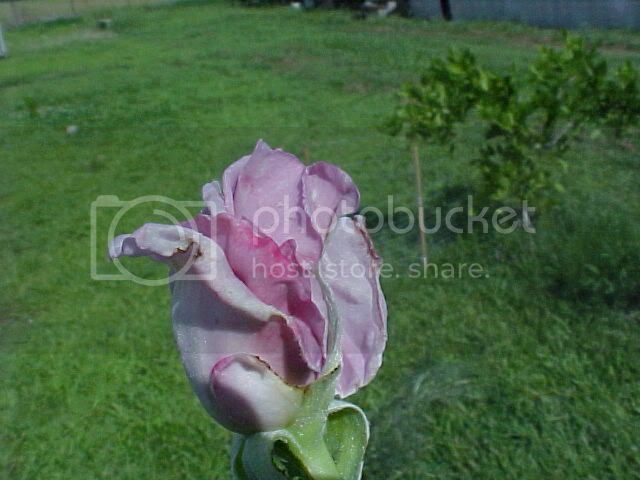 I hope your roses get better soon! 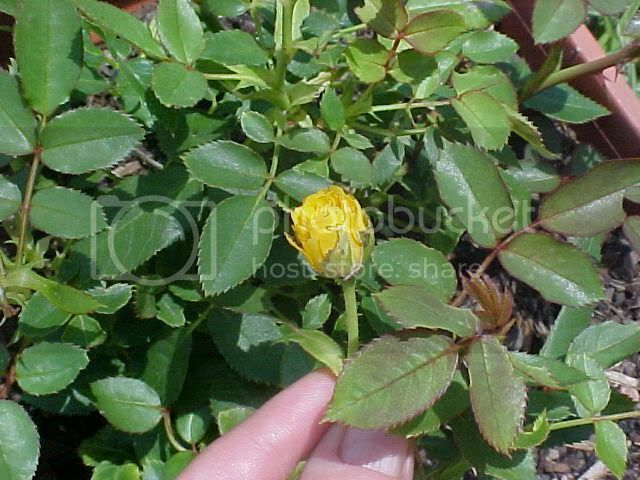 The best thing you can do for your roses is put them on a two week schedule. 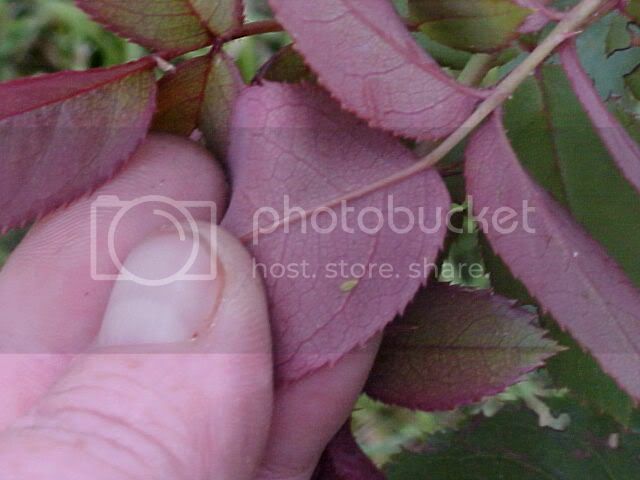 Every two weeks , put your gloves on and turn over leaves checking for ahpids and spider mites. 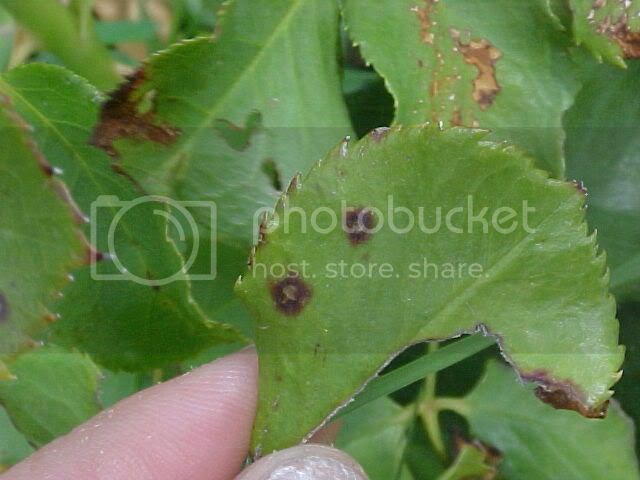 Start at the bottom of the plant ,towards the center and look for blackspot. 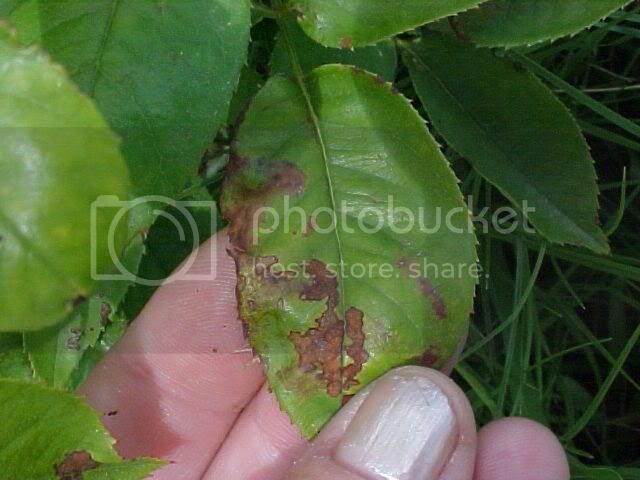 Rust and powdery Milderw can be seen from the outer leaves but blackspot usually starts in the center. 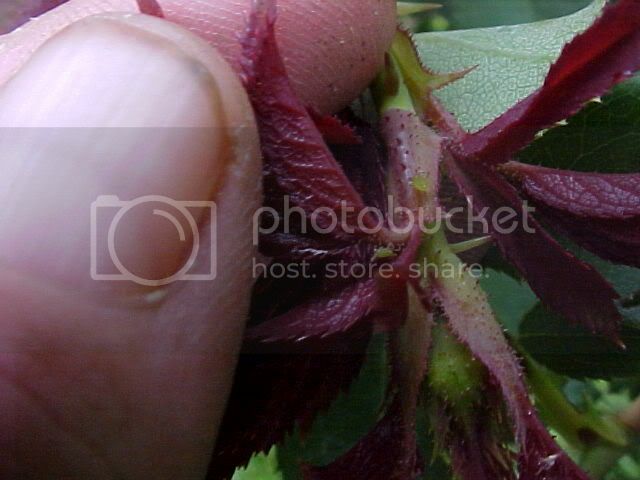 Just cut or pluck away the infected leaves and buds. 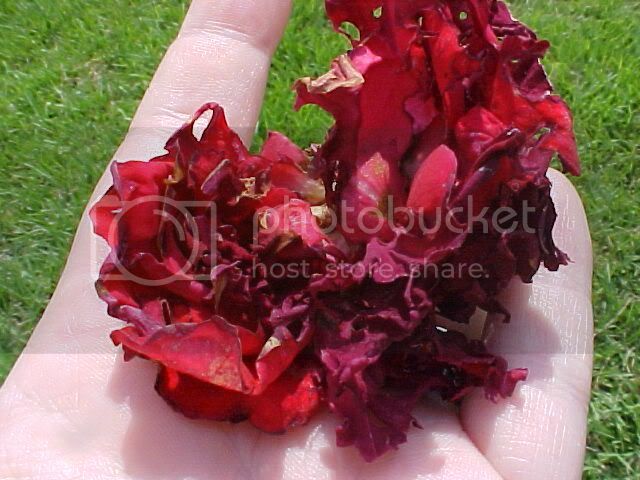 Make sure to pick up all debris around the base of your roses and properly dispose of them. 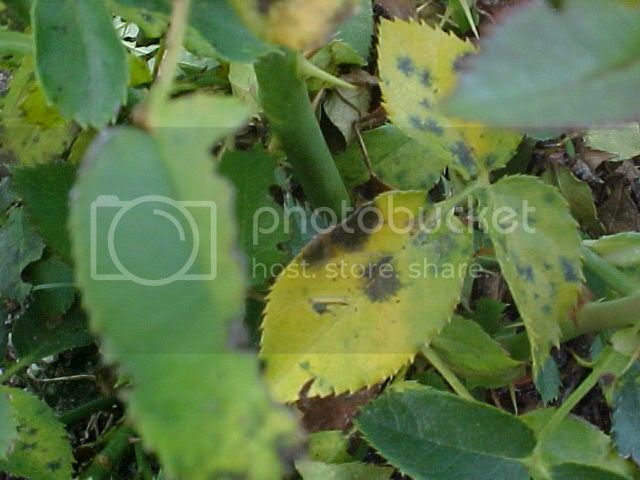 DONOT put infected leaves, buds, flowers or branches in your compost pile. 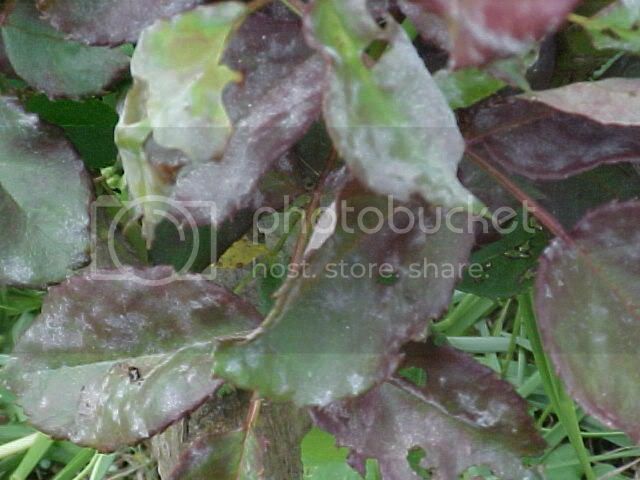 You will infect whatever plant you use the compost one. 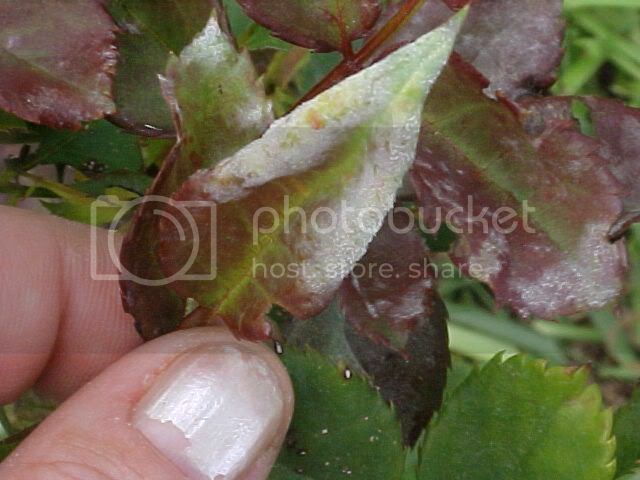 Black spot, rust and powdery mildew arent just for roses. 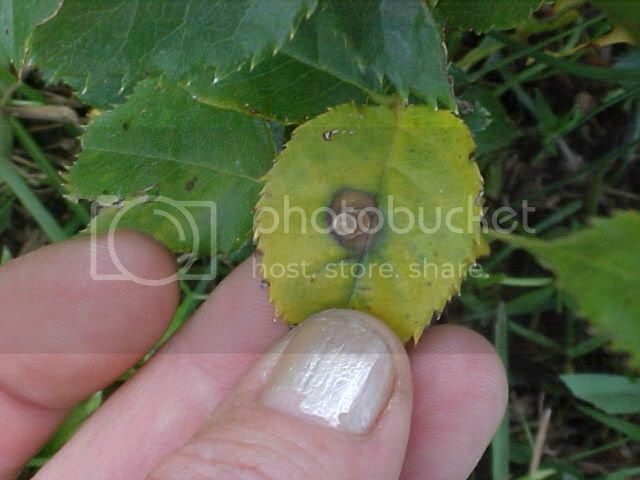 You can infect pretty much your whole garden.